What would Britain’s business relationship with Africa look like post-Brexit? The UK and the European Union are on course to miss a key milestone on the road to a Brexit deal after talks hit a roadblock on Sunday. Negotiations are now paused, putting pressure on leaders to step into the breach later this week. A weekend of intense negotiations - including a surprise dash by Brexit Secretary Dominic Raab to meet his EU counterpart Michel Barnier in Brussels - failed to break the deadlock. There will be no further attempt to resolve the impasse before the EU summit in the Belgian capital on Wednesday, according to people familiar with the matter, and officials on both sides are concerned time is running out to get an agreement before the UK’s exit in March. Even so, Britain’s Foreign Secretary Jeremy Hunt said he’s optimistic a deal can ultimately be done. The pound was trading 0.2% lower against the dollar at 09:55 in London. The weekend was meant to be a chance to crack the thorniest issue in talks - what to do with the Irish border - so that leaders could declare progress at this week’s summit and signal that a final deal could be signed in mid-November. That timetable - which markets had started to price in - has been thrown off and there’s likely to be more talk of how to prepare for a chaotic and acrimonious no-deal split. A key meeting of EU governments scheduled for Monday was canceled and negotiations will likely be paused for some time, according to EU diplomats. The major sticking point remains how to avoid the need for a hard customs border at the land frontier between Northern Ireland and the Republic of Ireland after Brexit. One proposal is to keep the UK inside the EU’s customs union on a temporary basis, which would mean no new checks on goods passing from Northern Ireland to Ireland would be needed. But pro-Brexit ministers in May’s Tory party - including Raab - are determined to make sure any such arrangement has a strict end date, to avoid Britain being trapped inside EU rules and tariffs indefinitely. They want the UK to be free to strike trade deals around the world, something that is impossible for countries in the EU customs union. The September EU summit in Salzburg ended in a diplomatic disaster for May, yet she used the occasion to her advantage. A breakdown in relations in October could potentially help the premier at home by showing she had stood her ground. Sabine Weyand, Barnier’s deputy, told ambassadors it was clear from Sunday’s talks that for domestic reasons the UK needed more time before it could make concessions, according to a diplomat in the meeting. 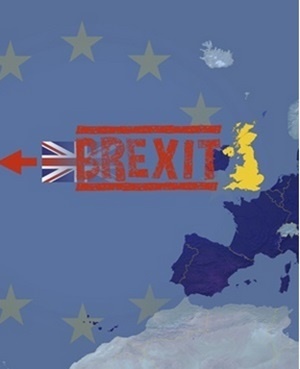 With just five months until the UK is due to leave the bloc, with or without a deal, businesses are increasingly anxious to see the terms of the divorce and to secure the 21-month transition period that they need to avoid the legal limbo of no-deal. Yet the two sides remain far apart on key points. The Irish backstop proposal has enraged at least two groups that May needs in order to get her deal through a Parliament where she has no majority. That’s reduced her room for maneuver. At least one member of May’s Cabinet is considering resigning over her Brexit stance and former Brexit Secretary David Davis is rallying Brexit hardliners to rebel. Arlene Foster, the head of the Northern Irish DUP that props up May’s government, was quoted as saying she expects a no-deal exit because the premier’s proposals on the Irish border are unacceptable. A Cabinet meeting on Tuesday is shaping up to be a showdown between May and those ministers most in favor of a clean break with the EU. “We need more time, but there isn’t much time left,” one British official said.